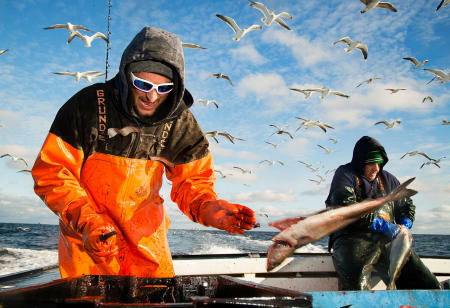 Commercial ground fishermen clean 650 lbs of haddock, pollock, cod and cusk on the way back to port in the Gulf of Maine. 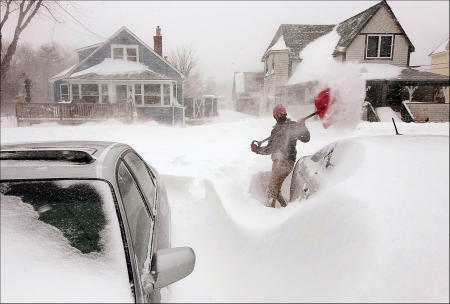 An Ocean Park resident digs out during a blizzard. Their first time being in snow, USM freshmen from Nepal, throw it all over each other near the college, in Deering Oaks Park. 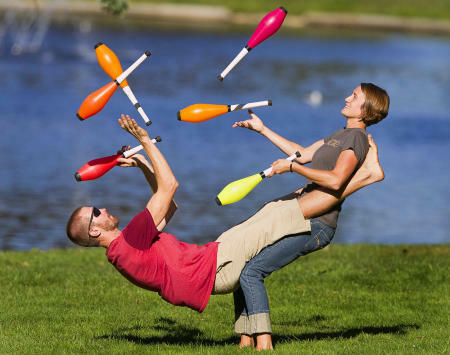 Bob and Trish Evans practice their tandem pin juggling routine in Deering Oaks Park in Portland. 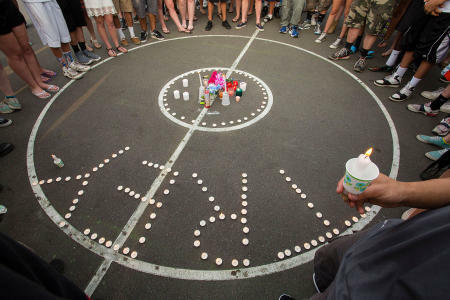 Mourners gather for a candlelight vigil for Treyjon Arsenault, 19, of Westbrook, at the town basketball courts where he frequently played. 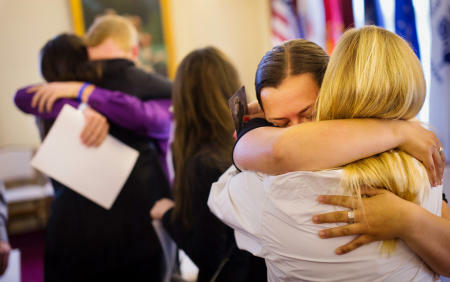 Mourners during the wake of Treyjon Arsenault, 19, who was shot in and killed in Portland. 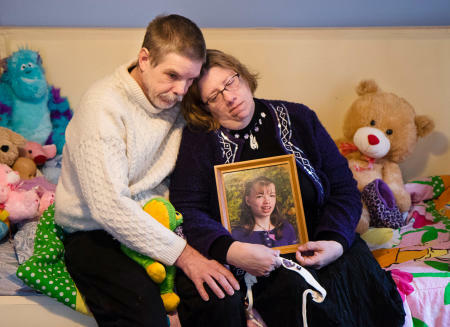 Robert and Susan Meehan sit on their daughter Cyndimae's bed, and hold her photo 24 hours after the medical cannabis patient died unexpectedly. 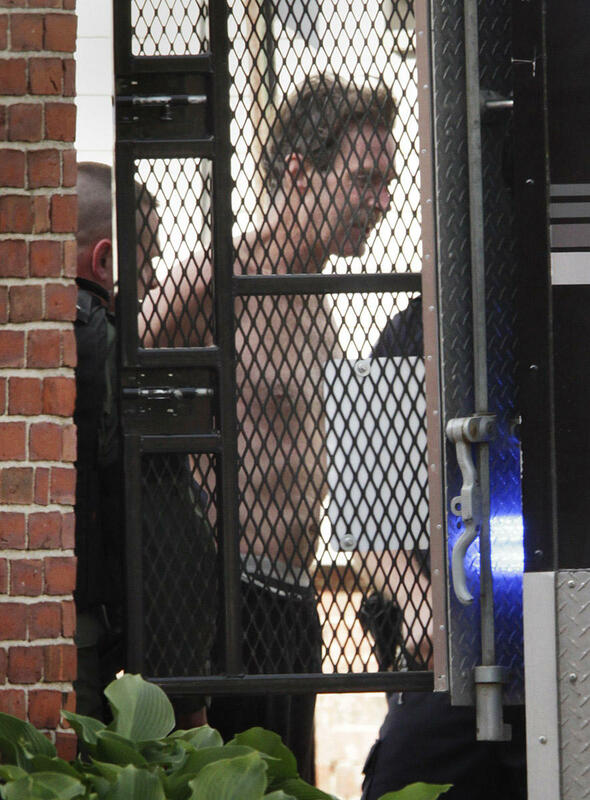 Portland Police take suspect gunman Brian Kelley into custody on Cedar Street. 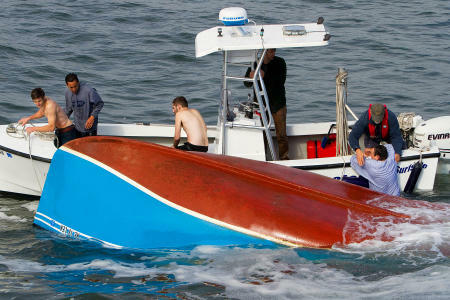 The last of of four capsized fishermen, whose boat overturned in rough surf between the Well Beach and Drakes Island breakwater, is rescued by the Wells Harbor Master crew. 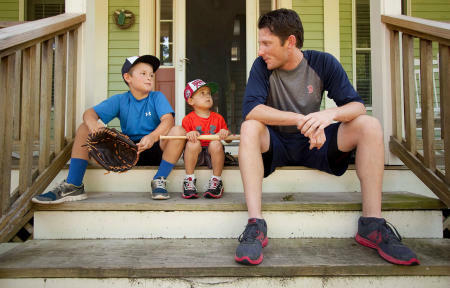 Camden and Jackson Charron, age 9 and 4, sit on the front steps and talk baseball with Portland Sea Dogs pitcher Michael McCarthy, who lives with the Charron Family in their Falmouth home while the Red Sox AA team is in Portland. 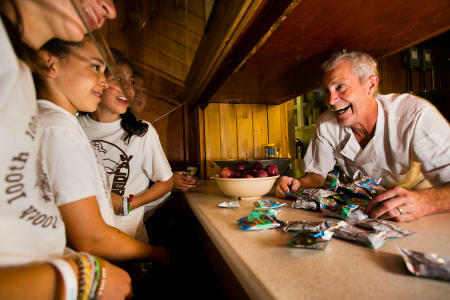 Chef Jonny St. Laurent chats with campers over the snack counter at Camp Walden in Denmark, Maine. 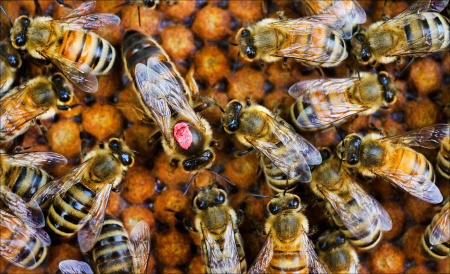 The queen bee is surrounded by the worker bees in a bee keepers hive. 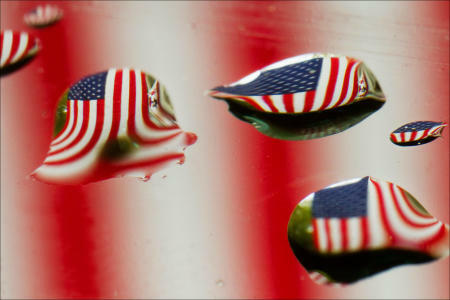 The American flag refracts through raindrops on a car windshield. 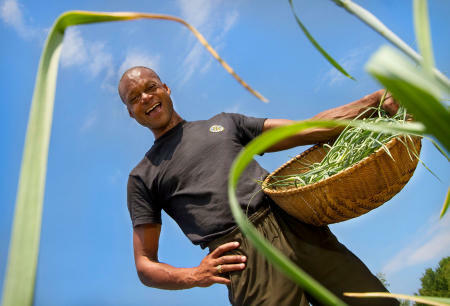 Maine legislator, Farmer and fierce advocate for Maine's sustainability movement, Craig Hickman smiles while picking garlic scapes on his Annabessacook Farm in Winthrop. 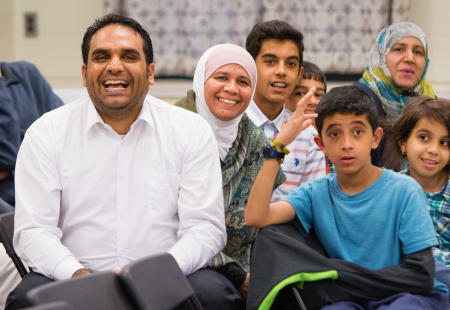 An Iranian immigrant family participates in a voter education session before voting for the first time in the 2016 election. 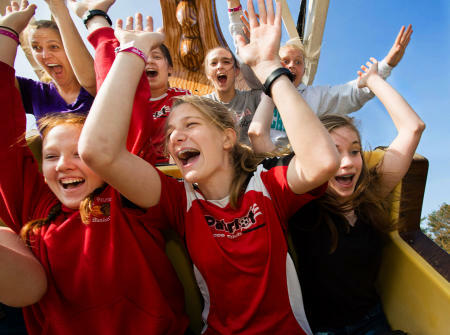 Middle School students enjoy a ride on the Sea Dragon during a special physics field trip to Funtown USA in Saco. 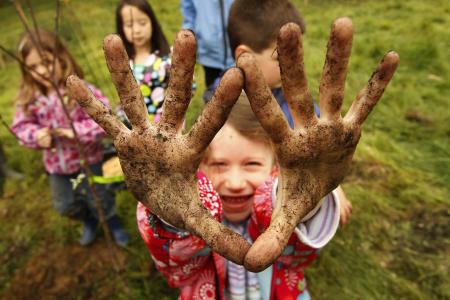 A student from the William H. Rowe School in Yarmouth shows off her dirty hands after planting an apple tree during Arbor Day activities at the Spear Farm Estuary Preserve in Yarmouth. Maine. 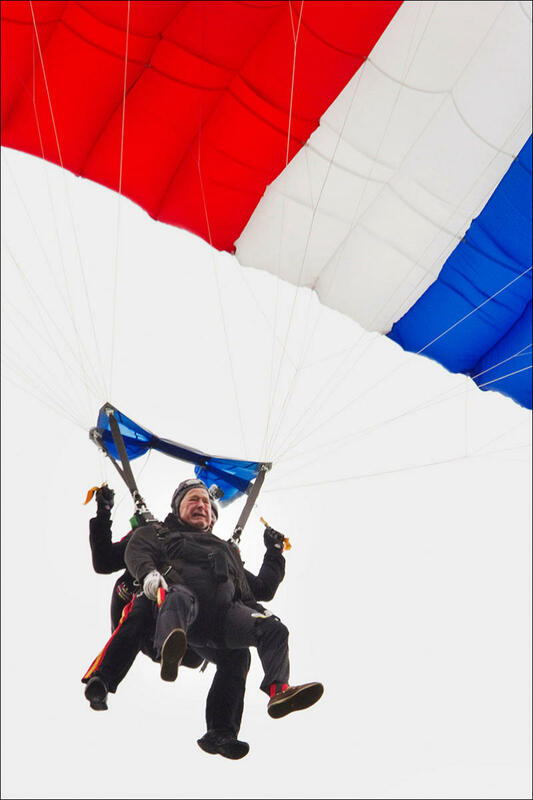 Former President George H. W. Bush rides a tandem skydive to the ground on his 90th birthday. 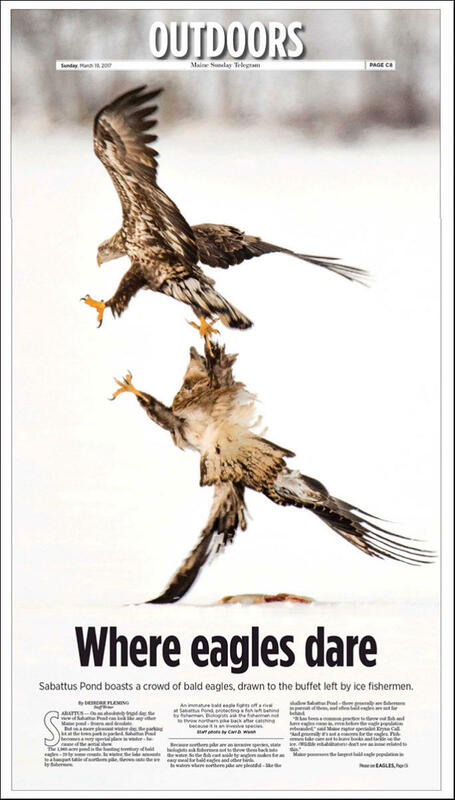 An immature bald eagle fends off a rival while protecting a pike left by fishermen.on the ice by fishermen. 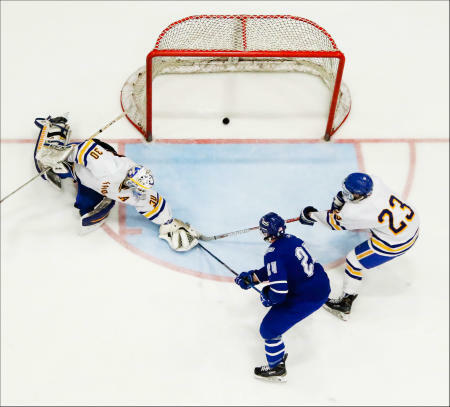 Lewiston's Alex Rivet scores the teams third goal of the second period, against Falmouth goalie Spencer Pierce, defenseman Reece Armitage right, during the Maine Class A State Championship game at the Colisee in Lewiston. Windham catcher Sadie Nelson is on the ground after tagging Thornton Academy baserunner Taylor Paquette during fifth inning action. Morse High School football team do practice drills during Midnight Madness", the first football practice of the year the Bath, Maine high school. High school girls soccer players compete for ball control at left. A St. Joseph's College outfielder flips over the fence while trying to catch a foul ball. People view Casco Bay's largest migrating fish run, where 30,000 alewife pass, in Westbrook's Mill Brook. Larry Chambers of Antrim, NH fly fishes in the Roach River, while staying at the Appalachian Mountain Clubs new lodge, Medawisla, northeast of Greenville, Maine.